It's October and that means plenty of Halloween parties. Here are some tips to turn your home into a spooky place. 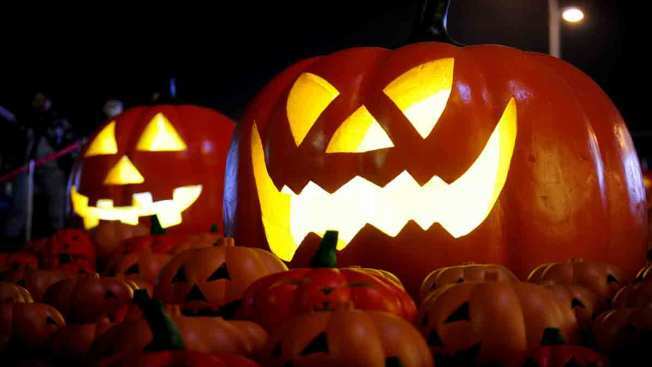 Planning a haunted Halloween bash could be overwhelming, but there are plenty of DIY tips out there for decorations that will spook your guests and fun party treats that will satisfy hungry kids and adults. Martha Stewart's tips will help you transform your home into a haunted house. Stewart shows how to make ghostly figures for your table, decorate your windows with silhouettes and create a glowing "mad scientist lab." She even has ideas on how to make specimen jars that are sure to freak out your guests. Some new tech gadgets can make your Halloween party much more thrilling. Steve Greenberg, author of "Gadget Nation," says adding "chomping skulls," scary animations to run on your TV and portable MP3 devices to play bone-chilling music will leave your guests trembling. No costume? No problem! "Today" style editor Bobbie Thomas shows makeup-based costume ideas that are timeless and easy enough to do at the last minute. Thomas shows how to achieve a "doll-like" look inspired by Margaret Keane's large-eyed painting subjects. She also demonstrates how to paint an elaborate skeleton face using white face paint, black eyeshadow or pencil liner. There will be plenty of Halloween store-bought candy around, but don't forget to prepare some homemade treats for your guests, too. Chef Giada de Laurentiis' Halloween spice cake with cinnamon and ginger notes is a perfect treat for adults. Candy apples are a classic Halloween treat. De Laurentiis also shows how to make gooey caramel apples decorated with streaks of chocolate and topped with tiny pumpkins, ghosts and bats. For scary and whimsical Halloween treats, check out these YouTube videos, including how to make vampire teeth with pieces of apples and marshmallows.